Ford Motor Co. plans to introduce a new hybrid gasoline-electric car in late 2018 to compete against the best-selling Toyota Prius, two sources with knowledge of the company's plans told Reuters on Wednesday. The compact car will be Ford's first "dedicated" hybrid -- that is a vehicle designed to be marketed exclusively as a hybrid, rather than a variation of an existing gasoline model, such as the automaker's Fusion hybrid, the sources said. The as-yet-unnamed vehicle will be built just outside Detroit. The sources said Ford eventually could offer several different body styles of the new hybrid, as Toyota does with the Prius. There would be different versions of the car's gasoline-electric drivetrain, including a more expensive plug-in model that can be recharged from an electrical outlet. ...Ford plans to build the new hybrid at its Wayne assembly plant in southeastern Michigan, at an annual rate of about 120,000, the sources said. Some of the hybrid technology, including electric motors, controllers and batteries, will be adapted from Ford's current hybrid models, although the dedicated 2019 model is expected to provide better fuel economy and range than today's hybrids. Hyundai is no stranger to the hybrid game, selling a gas-electric version of the Sonata in the US since 2011. The 2015-model-year version gets 38 miles per gallon combined, which is certainly admirable but not quite in the same league as the hybrid champion Toyota Prius (50 mpg combined). New spy shots reveal that Hyundai might be finally ready to targeting the non-plug-in fuel economy leader. Why else would some mysterious Hyundai prototypes be cruising through the desert hills with a few Priuses in tow? It looks like Ford is not the only manufacturer targeting the Prius. 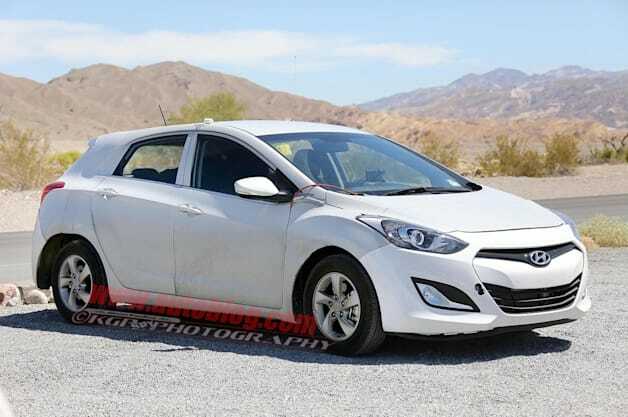 This could be a C-Max successor to be built at Wayne. This would have to be an all new range of Hybrid Only global vehicles, as the C-MAX will need to also offer an ICE/diesel version in other parts of the world. What this article does not say may be telling. Since the global market like the hatch better than a sedan, this should be a hybrid and Energi hatch model riding on the next gen longer, lighter Focus platform. Weight savings is expected to come from an aluminum body and more high strength steel in the new platform/frame. Energi model should offer a more energy dense 50+ mile battery pack. Remember, this is 4 years into the future. Well, I mean this could be a successor for the C-Max in the US market where it's sold exclusively as a Hybrid. anyone know if there's a (like manufacturing) relationship between the Energis's 7.6kWh battery and the FocusElectric's 23kWh? Last edited by 2b2; 12-19-2015 at 02:59 AM. No relationship. The 23kWh pack has cells from LG Chem, and the 7.6kWh pack has Panasonic cells(like Tesla). Packs are also built in different locations.